Any update? I managed to change the image of the fpga to configure the registers of the 6002 with lms-suite. I still can’t use the gnuradio block. I have seen that some clocks and even some pins are not connected for the 7002 with the STREAM board as they are not relevant while for the 6002, those pins should be connected i.e. the 7002 uses the same clock while the 6002 uses different clocks. Or is there some that must be done from PPA ? Is there a list for the items that can be goten from Git ? Does this part pertain to Linux/Ubuntu too? Not where it was built but where it is installed using the make install. In the quoted case above, the source was build using the -DCMAKE_INSTALL_PREFIX=/home/marty/sdr/limesdr/runtime cmake option. The default prefix is /usr/local and in that case it should not be necessary to export the plugin path. I do not know if it will work without running make install. gr-osmosdr seems to mot be showing soapy as a sink … is there a way to test gr-osmosdr? 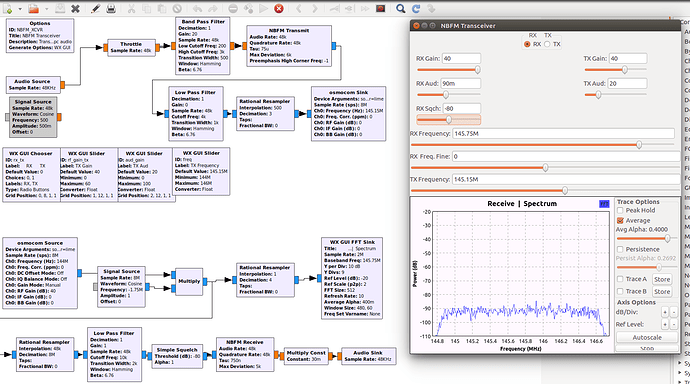 I have finally got gnuradio to work with LimeSDR. I installed Kali Linux on a new partition and used git for SoapySDR, LimeSuite, and Pothos, installing all of the dependencies with apt-get. I used apt-get for gnuradio. 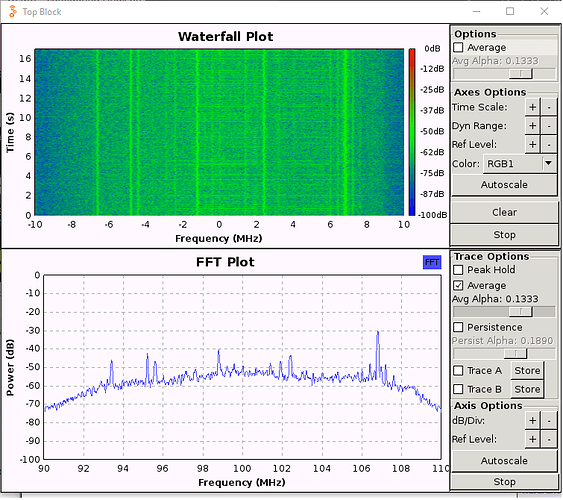 I tried the apt-get gqrx too but it hangs at the beginning where you are supposed to pick the input device. It never pops the dialog box. So now I am going to try to ‘git’ gqrx. I still want URH and qspectrumanalizer to work next. I am not sure how it is possible to set the receiver at 433.42 MHz but not the transmitter, I am also wondering if the antennas I’ve got are not the right ones (because they are tunned for 800-960MHz / 1710-2170MHz / 2400-2700MHz). Ok, trying to get limesdr and gnuradio working with the PPA since my attempts to build from source were unsuccessful. Need to get 0 B/93.4 kB of archives. After this operation, 532 kB of additional disk space will be used. 0 upgraded, 4 newly installed, 0 to remove and 18 not upgraded. Need to get 0 B/319 kB of archives. After this operation, 2,038 kB of additional disk space will be used. Selecting previously unselected package libfftw3-3:amd64. Selecting previously unselected package libosmodsp. Selecting previously unselected package gr-osmosdr. 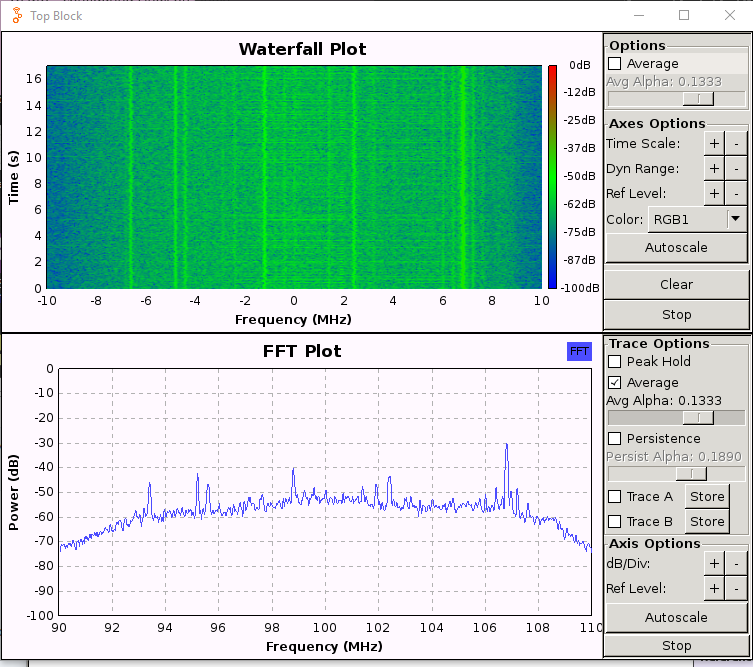 Without the osmocom SDR wrapper for soapy which wraps the limesdr driver I cannot use LimeSDR with gnuradio. Any thoughts on how I might fix this problem? Whoops, the 3.7.10 version of gnuradio-uhd apparently doesn’t have the symbols that the osmocom_sdr python swigs were built with? Is that what I’m seeing correctly? Well it has been an interesting journey. There is an incompatibility between the myriad PPA’s and other parts of the gnuradio ecosystem with respect to UHD. That undefined symbol above is a constant in the Ettus UHD module (uhd::usrp::multi_usrp::ALL_LOS) and I believe its part of the IQbalance stuff which has two different providers of the same file. My use case (which is perhaps unusual) is that I’ve got multiple SDRs so I need gnuradio to work with all of them. As a result the only way to get this stuff working correctly was to remove all the packages from the myriad PPA, build the SoapySDR and LimeSuite packages from source, and then rebuild all of gnuradio from source. 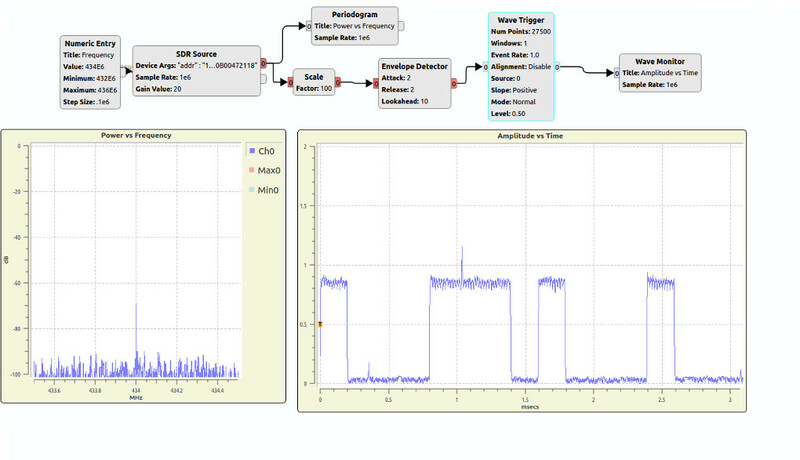 That finally got me to a point where gnuradio-companion had a version of osmosdr that would play LimeSDR, HackRF, and RTLSDR files. Every month I look at dropping a dime and securing my place in-line then I come here to see if anyone has gotten GNURadio to work. Nope, my money is growing dust along with the other projects I started that never made it past an idea. It is past a month since the last update in the GNURadio issue, is it dead? Did you ever put together a blog post about it? Info on getting the osmocom blocks working in GRC seems fragmented across the discourse forum.